Dangerous driving is scaring new drivers off the roads. 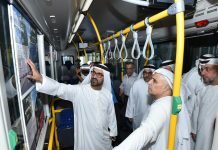 Despite spending thousands to get the UAE license, XPRESS discovered many people have sworn off driving, preferring instead to hail a cab, use public transport or any other transport method – anything to avoid dangerous drivers who could send their cars and their lives hurtling towards doom. The trend may not be openly talked about, but it exists despite Dubai Police stepping up their campaign against traffic violations to reduce road fatalities – the second most common cause of death in Dubai, claiming 1,534 lives between 2005 and 2010, police figures reveal. Australian expat Clare Greeves said she knows of dozens like herself who refuse to drive in the emirate. Accidents like last month’s 127 car pile-up on the Dubai-Abu Dhabi highway only lend weight to her claim that it is too dangerous to drive here. Greeves who arrived in Dubai in 2008, quickly made up her mind to keep off the wheel after witnessing many near-miss accidents. Today, the 25-year-old gets about town by taxi. From the passenger seat, Geeve says she keeps seeing her decision being vindicated every other day. There are too many risks for inexperienced drivers, like herself, who venture into an environment with little driver courtesy for others. Lack of courtesy on the roads was a recurring theme putting off drivers in Dubai who spoke to XPRESS. British expat Rhiannon Downie is currently facing the Dubai driving dilemma – to drive or not to drive. “I don’t want to risk my life, it’s not worth it,” she said. The main problem, she said, is the lack of education among drivers and pedestrians, allied to lack of common courtesy. However, after so many near-miss accidents while travelling in taxis she is contemplating returning to the driver’s seat. “I can’t decide what is worse – the dangers of taxi drivers or other drivers risking my life.” The safety of Dubai taxi drivers was also questioned by another expat, as Dubai Taxi Corporation (DTC) figures revealed it received dozens of complaints each day against drivers. Australian Dianne Scott-Young wondered last month if it was time to get out of the cab for good when the cabbie started driving on the wrong side of the road. She was picked up by a Dubai Taxi at DIFC and when driving around the Al Barsha area two things soon became apparent – the driver didn’t know where he was going or what side of the road he should be driving on, she said. The mother of three promptly called the RTA, fearing for her safety and her three children who were also in the car at the time. They took down details and the cab driver’s identification number. 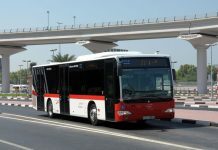 According to Scott-Young, the RTA investigated the matter and told her that the driver was fined, suspended from driving for a month and enrolled in a mandatory training programme for taxi drivers. “Whilst I was aware that the driver could be penalised, I was more concerned that he was a danger to his passengers and other motorists on the road… he was driving on the wrong side of the road! Plus he didn’t have a clue where he was going,” she said. While the complaints against DTC drivers is decreasing, almost halving last year compared to 2008, there are still dozens of complaints filed each day. DTC received 12,768 complaints on its total 3504 taxis in 2010, or 1.6 complaints per 100,000 kilometres at 65 million kilometres per month. This compares to 3.5 complaints per 100,000 kilometres in 2008. Dubai roads scare 21-year-old Karishma Shah (photo top) so much she avoids it when possible despite getting her driver’s licence this year. The greatest fear for the Indian expat who drives her parents’ Prado, is changing lanes and interacting with other drivers, especially taxi drivers. Learning to drive was OK, she said, because the instructor was there beside her at all times. However, Shah, who works as an intern at Rashid Hospital, tries to avoid driving whenever possible now. To get to work she takes a lift from her mother or the family driver. “If I’m feeling particularly brave, and the roads are clear, then I’ll have a go because it’s pretty close, maybe five minutes away,” she said. Canadian expat Akram Hussain, born in Bangladesh, said his driving had become more aggressive from his two and a half years driving in Dubai. “My experience taught me that you have to adapt and become more aggressive otherwise you will be forced off the road, literally,” he said. “Back home in Canada, driving is a lot more civil, but here it’s more international and it’s a mix of east and west,” he said. Bushra Finaish, student support manager at American University of Dubai (AUD) has teamed up with the RTA to educate students on safety and the dangers of dangerous driving. However, the US expat rarely drives at home and certainly not in Dubai. “I’m anxious about driving and here is very different from the US,” she said. Bushra is well aware of the ground realities, with AUD losing at least one student a year in a road accident. She believes dangerous driving is a part of the culture among youth here, with many students trying to outdo each other in racing their cars. “We try to make them aware of the repercussions. Dangerous driving is due to lack of information and knowledge about the dangers,” she said. Ahmad Hashim Behroozian, CEO of the Licensing Agency of the RTA said Dubai roads were becoming safer with a downward trend in fatalities and injuries last year. Justifying criticism against the RTA for being tough on expat learner drivers, he said. 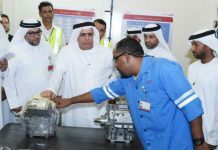 “I would rather be accused of being too tough than too lenient because licensing has a major role to play in improving driving standards in Dubai,” he told XPRESS.